We finally met with the Geeksters at Guru when attending The Game Fair! We were not disappointed with our high expectations, all the Geeksters were super friendly and gave Laula so much attention. It makes a real difference meeting staff at a stand during a fair and show when they have so much enthusiasm and passion for what they do and for their customer both on two and four legs. We loved getting to hang out with them all! Obviously we could not leave with a simple goodbye and instead stocked up on a couple of items to enjoy. We decided that knowing full well Laula’s love for sausages, we had to try out their Venison Sausages. 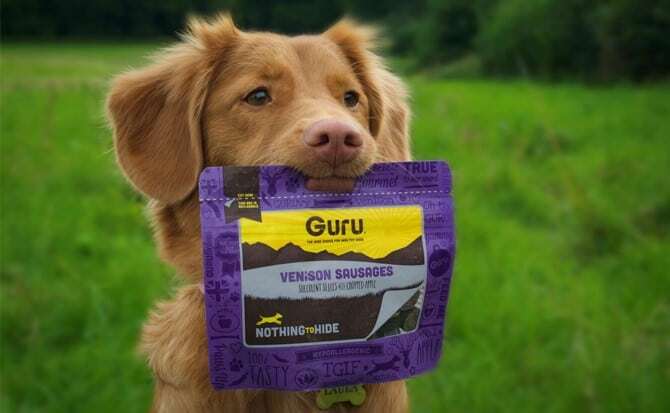 They are super healthy and have no nasties hidden away, this makes them perfect for a health conscious pup. For those times when it is inconvenient to bring out a bowl to give your pup their food, they have these brilliant Field Trip Packs. 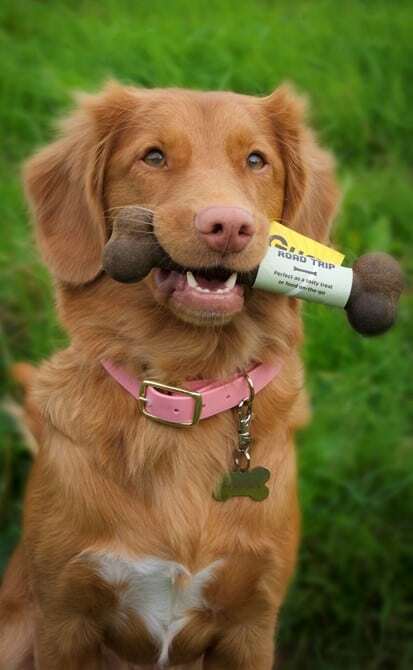 Made for the smaller of the breeds as a full meal or as a tasty snack for a bigger pup. For the bigger pup, Road Trip Packs are perfectly sized to enjoy as a full meal. We definitely love having these as a back up for when on adventures! Overall, what is not to like about Guru? Their amazing stuff, well thought out products as well as their passion, makes them a real treasure in the dog food industry and we would not hesitate to recommend to any of our Paw Friends!